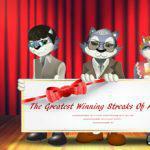 8 great winning baccarat tips - check them out and start playing today! 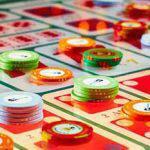 So, you’re new to baccarat and need some real money baccarat tips. Maybe you want to be like James Bond, so you’re here to get some advice before you don the tuxedo and ask for your martini shaken, not stirred. While I’m almost positive Agent 007 never consulted an online site for tips on how to play his signature casino game, there’s no shame in you being here. Read carefully and you could be living like Bond in no time, minus the kickass car and bangin’ arm candy. You have to provide those yourself. 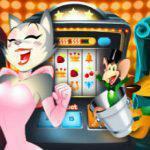 Play Baccarat Online for Real Money at CoolCat Casino! You’re a baccarat beginner, so I’ll make sure you understand this before the so-called baccarat “experts” start putting funny ideas into and a tin-foil hat on top of your head. These experts claim that to win, they keep track of the patterns and you should too. They perch at the baccarat table and record every single card to hit the felt and the outcome of each hand in an attempt to catch onto some pattern that will no doubt be broken in the next round. Don’t listen to these guys and you’ll actually enjoy yourself. Take their baccarat tips, and all we can say is we hope you have fun discussing nonexistent patterns and the alignment of the stars with the loonies. Aliens, man. In each round, you can bet on the player to win, the banker to win, or a draw to appear. That’s it. Since the house normally has the advantage, where do you think you should place your bet? You got it: you should always bet on the banker, since he wins about 50.68% of the time. Don’t get me wrong, he’s still going to screw you a little – for every bet on the banker that wins, the house keeps a percentage as commission, which makes the player sound like a much better offer. However, if you keep betting on the guy who wins you’ll obviously gain more money, even if he does take some of it every time. The commission is usually small, around 5%, so it’s not a big deal. Besides, he’s gotta balance his books somehow. Damn! The tie bet pays 8 or 9 to 1? Sounds like a hot deal, right? Yeah, not so much. Every veteran baccarat player knows that the tie bet is for suckers. Since a tie only shows up around 9% of the time, you’re way better off taking our advice and going for the banker. Sure, when a tie comes up the rewards are plenty. But unless you’ve got the gift of prophecy and can magically tell when a tie is about to appear, it’s not worth laying money down on something that might happen nine times out of a hundred. And if you can see the future and you’re using it to determine when the next tie will come up in baccarat, you’re doing it all wrong. Haven’t you ever heard of sports betting? For more check out these tips on baccarat betting. Unlike those Netflix binges we’re all prone to indulging in, playing baccarat shouldn’t be done for long periods of time. Blackjack is notorious for granting players with long, lucrative upswings, but baccarat players are normally not so fortunate. 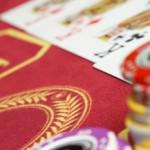 More often than not, baccarat has short winning streaks followed by brief drops into bad times. So hit an upswing, ride it while it lasts, and bounce when things start getting ugly. It’s a good lesson in restraint – accept fate, get up, step away, come back later. 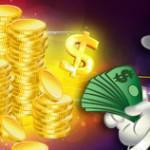 So, 5% commission is pretty typical, especially for online casinos. But that doesn’t mean you should settle for the first table you find when you’re in a brick-and-mortar casino. No, my friend – you need to seek out greener pastures, especially when you’re prowling the Vegas strip or checking out Atlantic City. Because casinos are constantly competing with one another, there’s a very real possibility that you could walk into one and see a baccarat table with the standard 5% commission, then stroll into the next one and see a 4% or 3% commission instead. One of our best baccarat tips is to check out your options before you settle down, and it could save you some cash in the long run. So, now you know that the commission can change from table to table based on competition, it means casinos would be crazy to go above 5%, right? Unfortunately, wrong. Don’t expect every table to stick to a single digit percentage number – some tables take a ridiculous 10% or even 25% of the winnings from the beloved banker bet, so make sure you know what’s what before you’re giving up a quarter of your profit to the house. Same goes for the tie bet. If you decide to give our advice the finger and swing it anyways, make sure you’re getting the correct payout. Some sneaky casinos will only offer a 6 to 1 payout, and if they’ve messed with that then they may have messed with other aspects. Just keep your eyes open and don’t be taken for a fool. When it comes to online play, this rule is out. But playing in a live casino is different, so listen up to this baccarat tip: when you’re on the hunt for a good game, look for baccarat tables with fewer than the standard eight decks. They’re few and far between, but if you stumble upon a table that offers four to six decks, completely trash our rule about keeping playtime short and park it for a few hours. You’ll see why we could go against one of our own rules. Our final baccarat tip is pretty simple – don’t be an idiot when it comes to your money. Put up what you can handle, and don’t think you can magically win back whatever you lose if you just keep playing. You want to pay your rent, right? You want electricity and heat, maybe a few beers on Friday night? Then don’t bet what you can’t afford to lose. And be honest with yourself – if you think you can gamble the money for your car payment or student loan and figure it out later, you’re going to be in a world of hurt in no time. Don’t be a dummy and you’ll actually enjoy playing without worrying whose couch you’ll need to crash on next month. For more, check out these tips on how to manage your bankroll. Most of all, have fun with it. Don’t go into any casino game with the idea that you’re automatically going to win big money – you’ll probably be disappointed. Go in with these tips and an open mind and you could win some cash and have a good time too. 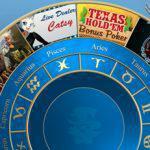 Use these baccarat tips and try baccarat for free at CoolCat Online Casino today!